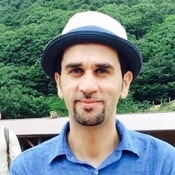 Traveler Ratings for Private Tour in Kyoto, Japan by Tour Guide Ahmed A. "5 out of 5" Ahmed went way above and beyond to make our trip to Arashiyama fantastic. From arranging transportation via private car (at our very last minute request) to securing entrance to the famed Saihoji Temple (Moss Temple), Ahmed was an incredibly dedicated and knowledgeable contact, who made our tour of the area unforgettable. Thank you!! TOUR GUIDE RESPONSE: Thank you so much fir your nice words. I am very happy you enjoyed your stay in Kyoto and I am at your disposal fir any future visits. My adult daughter and I had a lovely day in Kyoto with Ahmed. He was very flexible on the sites to visit fitting in with our wishes. He made suggestions on the order to see them in which meant we saw two of them before hordes of other tourists ascended! And most importantly Ahmed went above and beyond by chasing a taxi we had just got out of when my daughter left her phone in it ... and he was successful! Thank you Ahmed for suggesting a great lunch restaurant and adapting to our wishes. TOUR GUIDE RESPONSE: Dear Tanya, Thanks a lot for your nice words, i really enjoyed my time with you and daughter, i wish to meet you again here. Ahmed is perfectly fluent in English. He is a delightful guide and knows the history of the major shrines and temples in Kyoto. He went out of his way to customize our sightseeing trip and even planned future days. We highly recommend him! TOUR GUIDE RESPONSE: Dear Stephen, Thank you so much for your nice review. It was a pleasure for me to have a tour with you. I really enjoyed all the discussions we had about the cultural issues in Japan and USA. You have a wonderful wife and I wish you and her all the best. Come again to Kyoto : ).